5th June is celebrated as World Environment Day across the world. The theme for World Environment Day this year is Beat Plastic Pollution. 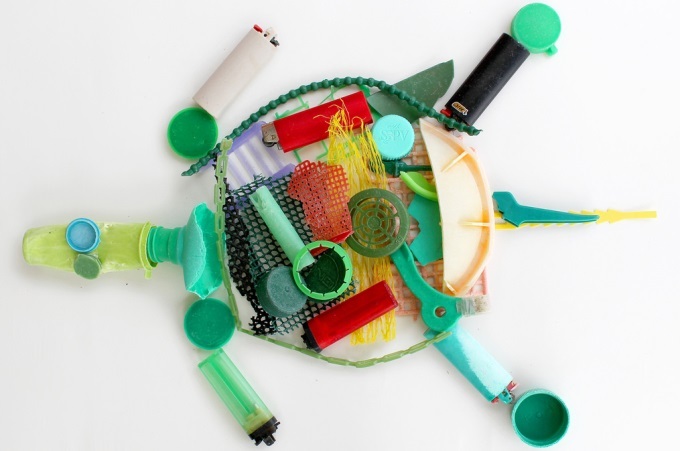 Plastic, a man-made substance, has found its way in all parts of our lives. And before we could realize it, plastic has entered our seas and oceans and is harming aquatic life everywhere. The non-biodegradable nature of this substance ensures that once created, it will always remain around us and will not stop from entering the stomachs of animals and birds. Even on being burnt, plastic emits harmful gases such as PCBs that are toxic to human beings. There is no way of getting rid of the existing plastic, and therefore we should double our efforts in reducing the demand for more plastic so it is no longer manufactured. On World Environment Day, Delhi Greens shares with you top five ways how you can Beat Plastic Pollution. Discarded plastic water bottles are a major contributor to plastic pollution the world over. It may seem very convenient at first to simply stop your car and buy a disposable plastic water bottle, but disposable is not the same as biodegradable. And this discarded plastic water bottle either adds to the plastic pollution load of our landfills or reaches our rivers, seas and oceans and harms the living organisms there. Since our survival depends on the survival of all the other living organisms, this then becomes a direct threat to human survival. The solution is as simple as to always carry your own water bottle (preferably of the insulated kind) with you in the best interest of life on the planet. Not so long ago, it was part of normal living to carry cloth, jute or some form of carry bags to the vegetable markets, utility stores, etc. In the recent past however, we are forgetting this simple good habit that has the potential of eliminating polythene waste in our cities and countryside altogether. We must make this a habit and always remember to carry a carry bag each time we leave the house for buying vegetables or even simple items such as bread and eggs. Each time you buy a product which is made mainly of plastic, think twice and ask yourself how much do you actually need it, and if there is a non-plastic alternative that exists that you can buy instead. The simple thing to remember here is, “if you can’t reuse it, refuse it.”. Also try to buy those products and items that do not come with layers of plastic packaging. Try to gift wrap items with recycled paper or colourful newspapers and encourage others to do so as well. Disposable cups made out of plastic (or even paper) are another unnecessary pollution load on the planet. They are among the largest percentage of solid waste coming out of of corporate offices. A simple solution to eliminate this problem altogether is to either carry or keep a cup or a mug at your workplace and use it for all the cups of coffee or tea that you have henceforth at your workplace. While you are at it, avoid the use of plastic straws as well. It may seem a small contribution, but it will go a long way in ensuring the survival and sustainability of human beings on the planet. Green change, like charity, begins at home. It must then be spread to others – one person at a time. So once you have adopted these changes in your own lifestyle, it is important to spread the message. This must begin with helping others realize the large-scale environmental harms caused due to excessive use of plastics, followed by facilitating the change in daily habits. All of us need to become change-makers if are to fight this pollution menace that we have ourselves brought upon us. NextIs This the Main Cause of Air Pollution in Delhi?